Ya comenté en un post anterior aungunos problemas que suponía la apuesta de Apple for el formato iBook en libros de texto. At Thursday’s event, Apple’s Phil Schiller said that 1.5 million iPads were in use in education settings, leveraging more than 20,000 education applications. 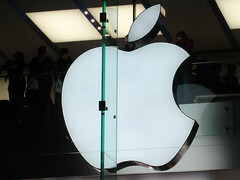 Today, Apple’s giving away brand-new tools that ensures the company will be able to sell many, many more. The ridiculous and wasteful patent war continues, with a German court confirming that Apple has filed two new suits against Samsung. The first is against 10 phones including the SGSII, and the second against 5 tablets. Details are light at the moment, but evidently Apple is using these two (unsurprisingly very vague) patents in the smartphone suit: Yes, seriously – their patents are basically for a shape. Readers familiar with the current lawsuit situation in the tech world know the situation is violently out of control, and close followers of AP have heard my thoughts on just how … Official Android Police t-shirts are now on sale, with over 25 designs to call yours.Done With This Post? You Might Also Like These:Samsung Decides Galaxy Nexus Was Not Actually Designed To Avoid Apple Patents, “Doesn’t Know” How That Rumor Got Started, Nothing To See HereSamsung’s Mobile President: The Galaxy Nexus Was Designed With Patents In MindApple’s Plan To Sue The Pants Off Everyone Backfires: European Judge Issues Injunction, Rules That 3G-Enabled Apple Products Infringe On Motorola PatentGermany Halts Distribution Of Galaxy Tab 10.1 In Europe (Except Netherlands) In Apple Patent Lawsuit InjunctionApple Instructs Samsung On The Finer Points Of Tablet And Smartphone DesignApple Files Two New Lawsuits Against Samsung In Germany: One Against 10 Phones, The Other Against 5 Tablets was written by the awesome team at Android Police. Aunque un servidor es un usuario acérrimo de Google, no está de más leer el artículo para conocer otras opciones interesantes a alguno de los servicios que aquél nos ofrece. 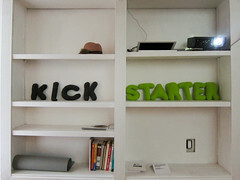 Last week Kickstarter published “The Year in Kickstarter,” a look back at 2011: the trends, interesting moments, statistics, and their favorite videos. For anyone who loves their crowd-sourced funding model, it’s worth a look. My favorite page was the Stats page, which gives little tidbits like the total dollars pledged ($99,344,382) and the percentage of projects that succeeded (46%). What’s also interesting is the breakdown of those pledges and the types of projects that were funded. The color-wheel image is unfortunately not a pie chart so you have to hover over every slice to see the details. You’ll find that art-based projects (movies, music, theater, photography, and so on) are still the biggest piece of the pie — which is in keeping with Kickstarter’s origins. But games had the biggest increase in number of backers, up a whopping 730% from 2010, with over 45,000 backers kicking in over $3.6 million. That’s pretty incredible. Another fun page is the Videos page, where Kickstarter staff share just 12 of their favorite videos of the year. Imagine watching 30,000 Kickstarter videos in one year — that’s what the staff did. So you know for this dozen to make it, they had to do a really great job. As something of a Kickstarter addict myself, I loved scanning through this year in review. While I’m nowhere near the top ten of the “Most Prolific Backers,” I’m proud of the projects I was able to help fund, and I’m looking forward to another year of supporting fantastic ideas.